Cities all over the Bay Area will celebrate the Independence Day holiday this weekend with safe and spectacular displays of fireworks. 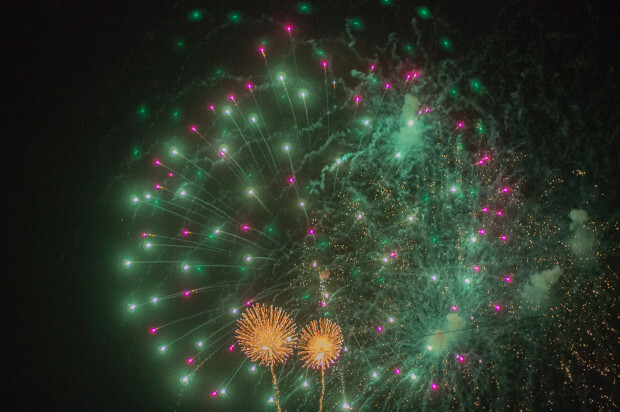 Although most cities and counties in the area are prohibiting fireworks displays by residents, party-goers looking for a show this weekend will be able to find one at large venues that have permits to display fireworks. Today, the city of Richmond will kick-off the holiday with its sixth annual Independence Eve Celebration. The event includes a performance by the Oakland East Bay Symphony as well as a fireworks display over the bay. The event takes place at the Craneway Pavilion, at 1414 Harbour Way S. Doors open at 6:30 p.m. and the fireworks display will begin approximately at 9:15 p.m.
On Saturday, a celebration will take place at the Berkeley Marina, starting at noon. Food, games, carnival rides and more will be featured, leading up to the fireworks display at 9:35 p.m. over the water from the end of the pier. The city and county of San Francisco will hold their annual waterfront Fourth of July celebration at Pier 39 in San Francisco. Live music performances will begin as early as noon and the fireworks display will start at approximately 9 p.m. The Marin County Fair has been holding a fireworks display since it began on Wednesday. Fireworks display will continue every night at the fair, starting at 9 p.m., until the fair closes on Sunday night. The fair is being held at 10 Avenue of the Flags in San Rafael. The Sonoma County Fairgrounds in Santa Rosa will hold a Red, White and Boom celebration on Saturday. Live music will begin at 4 p.m. and a fireworks display will start at 9:30 p.m.
Saturday morning, San Jose will hold its historic Rose, White and Blue parade, featuring home-made floats, live bands, dance groups, antique cars and more. The parade will begin at Lincoln High School parking lot at 555 Dana Ave. at 10 a.m. and will end at the corner of The Alameda and Lenzen Avenue. The parade will be followed by a picnic along The Alameda. Also in the south bay, the Shoreline Amphitheatre in Mountain View will host The Fourth of July Fireworks Spectacular Saturday night, beginning at 8 p.m. The fireworks display will be accompanied by a performance by the San Francisco Symphony. The Shoreline Amphitheatre is located at 1 Amphitheatre Pkwy. California’s Great America, located at 4701 Great America Pkwy in Santa Clara, will hold a celebration with an all-you-can-eat barbecue and a patriotic fireworks show at 9:50 p.m.